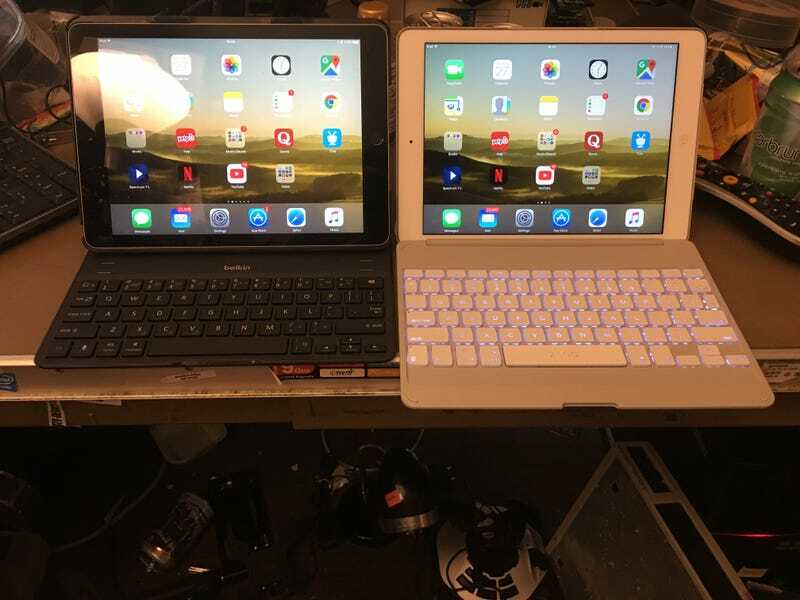 I picked up a 2017 iPad the other day to replace the old iPad Air, but wasn’t sure what to do about a case. As it turns out the local Goodwill store had a Belkin keyboard case meant for the Air, and it was only $4. It’s not backlit like the Zagg case, but the new iPad fits quite well. Two minor issues: The volume controls don’t line up the same due to the lack of a slider switch, but the case doesn’t cover any part of either button. And the camera lens isn’t centered in the opening, but it doesn’t really matter since it isn’t overlapping and therefore the images are unaffected. I still prefer the quality and features of the Zagg case, but considering the $96 in savings between the two I’ll learn to live with these little quibbles.